How to make a healthy Iftaar snack! If you’re a Muslim.. RAMADHAN MUBARAK! Living in London means that our fast is 20 hours long giving us just 4 hours to eat food that keeps us nourished for the day! So my family and I have developed a new meal system which means that we’re eating healthy but still feeling full enough! Bare in mind.. This recipe is just a snack and not a good replacement for a whole meal! • Can also add pepper but the kick for mine comes from jalapeño olives! Here’s the beauty.. It’s up to you! You can cut these however you like, but I like to keep mine relatively small just for the ease of eating it. Mix it all together and serve however you like. As a side salad (although I find it very filling) or you can eat it alone! A lot of Asians have the habit of opening their fast with fried food and all sorts of unhealthy foods. Remember, you may not have eaten for some hours so that doesn’t mean to stuff yourself to he brim of fatty food. 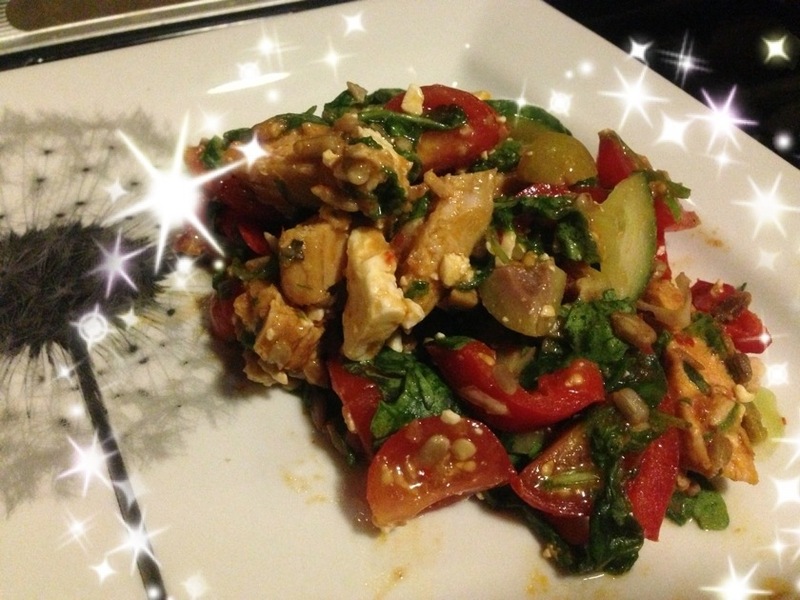 Instead, try making this salad (which takes less than 10 mins) and feel good about yourself!! Top 5 summer pink lipsticks!